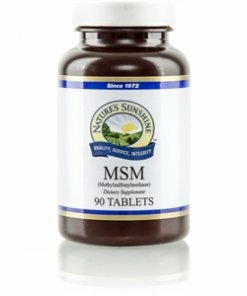 Nature’s Sunshine MSM provides cellular protection. Methylsulfonylmethane or MSM, a natural dietary sulfur that supports protein structure and cellular membranes, restores cellular connections and protects the framework of connective tissue on the molecular level. 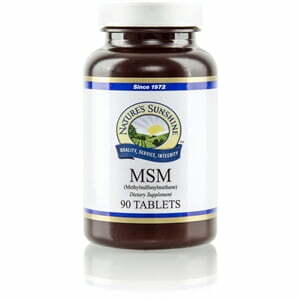 MSM also fights free radicals and nourishes a healthy intestinal system. Cellulose (plant fiber), maltodextrin, stearic acid (vegetable), silicon dioxide (powdered silica), and magnesium stearate (vegetable).